The ModTone Chromatic Tuner 2 is the most essential piece of the guitarists gear puzzle. Featuring an easy to read multi-color LED display, the bright blue note readout with green in-tune marker makes sure your in tune quickly and accurately every time. 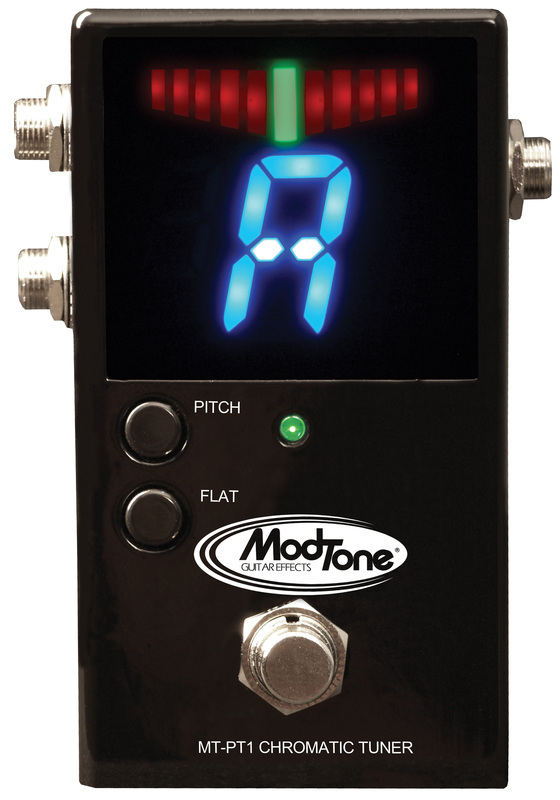 The ModTone Chromatic Tuner 2 features a heavy duty metal housing, ¼” input, and dual ¼” outputs. Use the second Bypass output to run a stereo rig or send your signal direct to the board. The Pitch button allows for fine tuning up or down 5 cents. The Flat button allows for de-tuning three half-steps (Eb, D, Db).